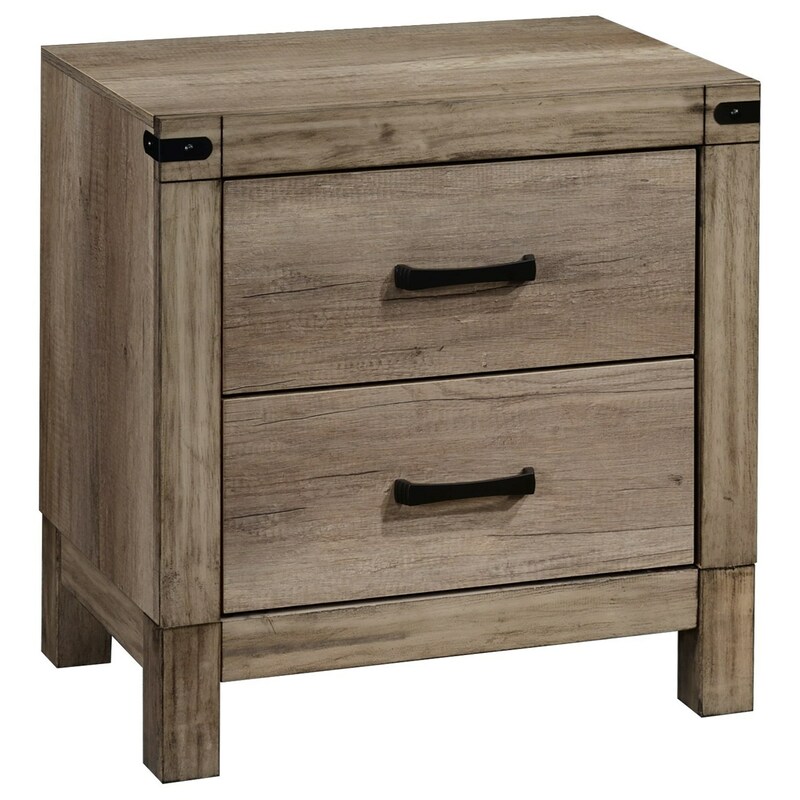 The sleek tall nightstand has a light grey finish, a clean frame, and flat drawer panels. Black metal bar hardware on the two drawers matches the accents on the top corners of the frame. Pair with the bed in this collection for a stylishly refined bedroom set. The Matteo Contemporary Tall Two Drawer Night Stand by CM at Michael's Furniture Warehouse in the San Fernando & Los Angeles area. Product availability may vary. Contact us for the most current availability on this product.